Production City was purchased by Infinity Productions, Sunnyvale, CA in 2003, and is actively expanding its capabilities and customer base to serve the entire Bay area. We provide the same quality video production services from both of our conveniently located offices in Sunnyvale and San Francisco. Both video production companies have substantial post production, duplication and CD and DVD authoring capability and experience. Our company has experienced significant growth from 1991 to the present due to our commitment to customer satisfaction, fair prices and professional service. Staffed with a creative and experienced team, we work closely with clients to handle all your production's needs. Whether it's commercial, training, event or legal depositions, we guarantee top quality video production on time and on budget. 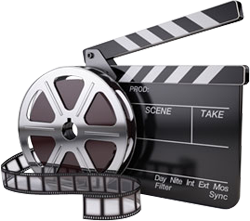 Our professional staff takes pride in providing creative and innovative video production services. Give us a call at 408-636-3247. We would love to discuss your project with you and offer you a free estimate on production costs.